Abdi Mohamed (8 Nov 2017) – Somaliland’s presidential election campaign has entered its final days, colourfully though, as the voters are going to the polls on Monday, 13 November 2017 to elect the country’s fourth democratic elected president. Despite the politicians vying and nagging each other constantly, supporters of the three political parties (UCID, Kulmiye and Waddani) have attended rallies in hundrends and thousands in small towns and big cities respectively across the country. They have shown their support and loyalty by campaigning with traditional dance and colourful style. More importantly, young people are learning how to exercise their rights, joyfully though – as shown in the video. That’s the right to participate, the right to choose or support a political party, the right to campaign and the right to vote. These are rights that my generation, and millions of people in Africa and elsewhere in other continents, did not have when we were at their age. Certainly, the future belongs to the them, the youth of today. Today’s Somalilander young people will inherit a unique democratic system which is built and based on a tradional leadership, coupled with a shared responsibility, bottom-up approach process, which is compatible with their societal structure and culture, and values their social capital. However, one would ask how far has its bottom-up approach, locally driven democratic process travelled? A report by ICG (July 2003) ‘Somaliland: Democratisation and its discontents’ explained the approach taken and how the process was managed. 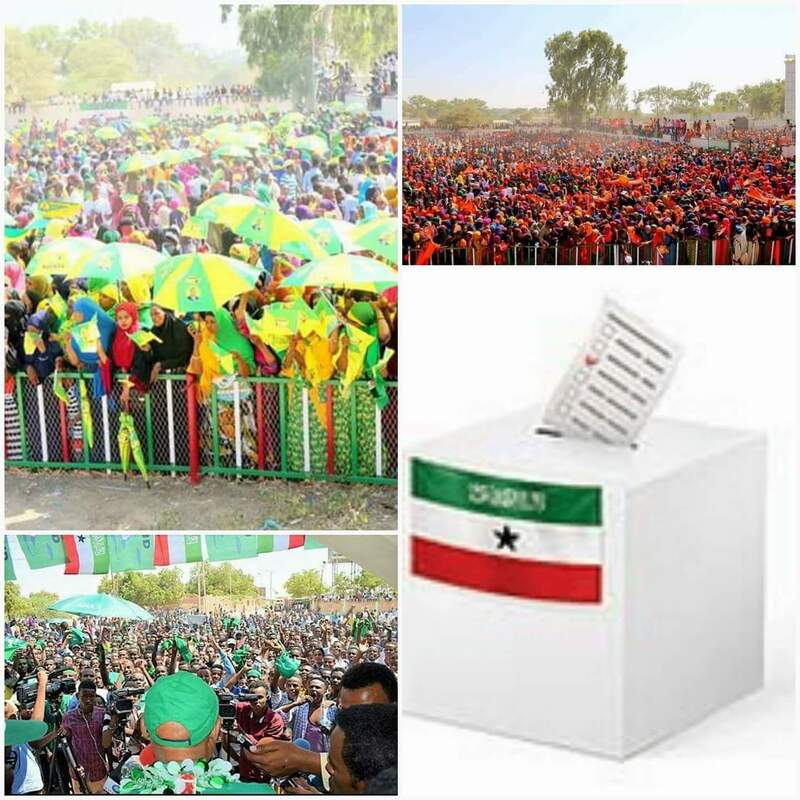 The authors of the report said, “Somaliland’s presidential election of 14 April 2003 was a milestone in the … unrecognised republic’s process of democratisation. On 1st July 2010, the same man who was 80 votes short of taking the highest office in the country seven years ago became president elect. The way the power was transferred became something worthy of note. More importantly, there are also lessons for democracy importers, mainly Western capitalists, as imposed democracy will never bring fruitful results for no one. People’s social and cultural capital should be considered as among the pillars of any given electoral process. As the Somali proverb says, “Gari laba nin kama wada qosliso. [A just sentence cannot make happy/laugh both sides at once] – i.e. through a viable justice system (in this case through the ballot box) there is always a winner, only one winner. Somaliland, former British protectorate, declared independence and regained its sovereignty after the overthrow of Somalia’s military dictator Siad Barre in 1991. Though they are still persuing the re-recognition they have been seeking, Somalilanders are moving forward and not looking back. Next Somaliland: Xil-doon iyo xukuumad tayo leh maxaa kala haysta?